As a business leader, how do you encourage creative innovation? 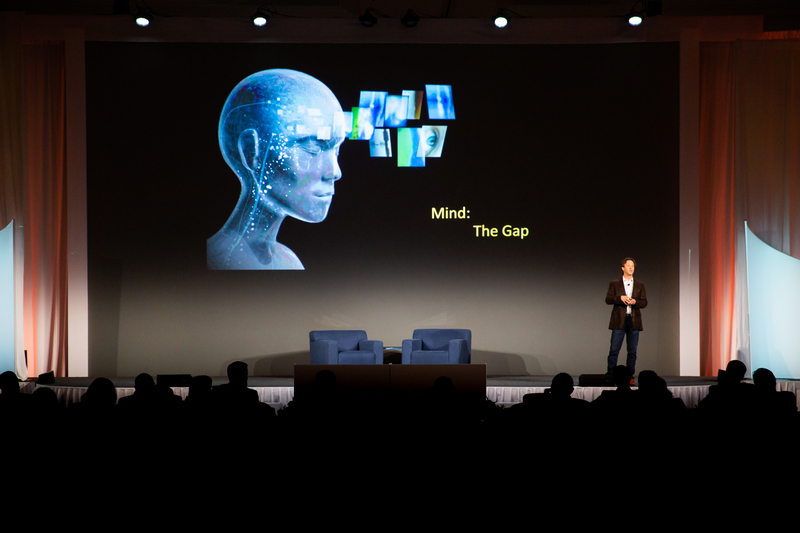 This year at Workday Rising, David Eagleman, a Stanford neuroscientist and bestselling author, spoke to executive attendees about unlocking creativity. In his talk, Eagleman discussed that while our brains naturally take the path of least resistance, this is good for surviving as a species but not good for creativity at our companies. His simple but hard solution to awaken and channel creativity: make changes to everyday habits. Approaching everyday tasks differently knocks us out of self-induced hypnosis and improves neurologic capacity for creative growth. Eagleman was kind enough to talk with us before his Workday Rising keynote about how pushing ourselves to build new pathways and connections in our brains leads to creative innovation. David Eagleman spoke to Workday Rising attendees about how novel experiences create pathways in the brain that lead to creativity. What are common misconceptions people have about creativity? First, there’s the “lone genius” myth that people attribute to famous innovators like Steve Jobs and Mozart. People like this myth because it makes for an easy and impressive narrative. But innovation doesn’t happen alone. We create our world by absorbing everything around us—and everything everyone else is doing—remixing it in our brains, and then spitting out new versions. There’s also the myth of “can’t miss” creative ideas. But in fact, it depends on your place and time. Some creative ideas come before their time. For example, the IBM Simon was an early version of the touchscreen smartphone that came out in 1993, over 20 years before the iPhone. But there wasn’t enough infrastructure to support it, so it didn’t catch on at the time. The creatives that are remembered, like Steve Jobs, were innovative—but they were also in the right place and time for coming up with something that stuck. Another myth is that there’s a clear way to approach creativity, like you need to work in a pink room, or write at 7:00 a.m. every day, or walk in the rain to be creative. When I ask my fellow author friends about their creative methods, everyone has a completely different routine. There’s no single approach that’s superior. What are the biggest barriers for companies trying to be more creative? Consumers want something in between novelty and familiarity—it has to be new enough to grab attention, but not so new that it’s alien. This is why we’re always looking for the new and improved version of a product or idea we know. Companies have to constantly figure out how to lean into the future without leaning too far and doing something that won’t catch on. They have to find the sweet spot in the middle where it’s new enough but not too new. That’s why it’s important for companies to generate a spectrum of options from the familiar to the totally wacky, because it’s impossible to know in advance what idea will stick. There’s also fear of failure. Setting up an environment where failure is okay is necessary because the only way to get anywhere is by trying lots of things and having some degree of failure. We all love to think there’s a way to have a perfect, innovative idea on a first attempt, but it’s unrealistic. It also seems creative ideas that are successful come from people who read and study a lot. Indeed, it’s critical to absorb the world around you. That’s why Faulkner’s advice to writers was to read. Creative ideas springboard off the top of what is already out there. Picasso absorbed what had come before him and could create beautiful, photo-realistic paintings when he was only a teen. He was then able to take that and launch to his next steps. As a neuroscientist, how valuable is it to learn new skills at all stages of life? It’s critically important. Our brains are able to change throughout life, and when we learn new facts and skills, we establish new connections in our neural networks. In a recent study, researchers examined the brains of nuns after they died. They discovered about a third of the nuns had Alzheimer’s disease—but no one had known this when they were alive. Since they lived in convents where they had social lives, chores, tasks, and responsibilities, they were constantly making new neural pathways. Even though their brains were physically degenerating, they were able to function well because they were constantly challenging themselves. What advice would you give to business leaders wanting to be more creative? Anytime you need a new solution, make it a habit to force yourself to come up with multiple solutions. Entertaining new ideas at different distances from your starting point makes sure your processes don’t get stale and automatic. And pursue novelty. It sounds trivial, but doing things like driving a different route home from work every day, rearranging your office regularly, or switching your watch to your other hand is important and helpful for the brain. It forces you to think differently, see your surroundings in a fresh light, and build connections in your brain—all of which are critical for creativity.